Ah, yes. Hello, world. If anyone is reading this, this is the beginning of my dev blog. Here I'll be writing about a variety of topics related to game development and my various projects. If you want to follow this blog, you can follow me on Twitter. There will be tweets whenever a new blog post comes out or an announcement about my projects is made. 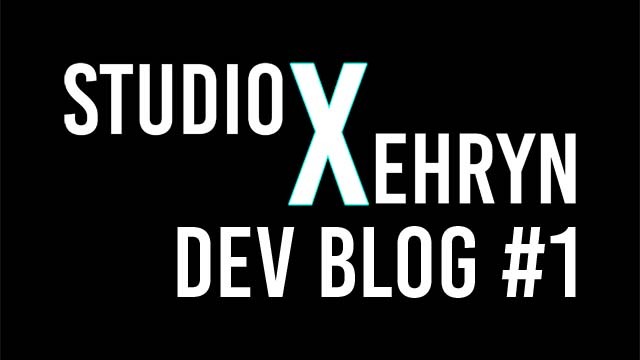 Studio Xehryn is a one-man team consisting of me, Henry Pan. I am a hobbyist game developer, with skills in programming, art, and composing. What is a "Xehryn" anyway? Well, it's an anagram of my name, Henry, with the letter X. (If it wasn't obvious enough from the stylizing of the logo.) It's pronounced ZAY-RIN. The X stands for collaboration, usually seen in Japanese media, a big source of inspiration for us. I am also a Kingdom Hearts fan - Xehryn would be my Organization XIII name. I made this site using a template found online. The site is static - HTML/CSS files stored on GitHub - and hosted with GitHub Pages. It works well for our site as there is no need for a database or user accounts. It is also good for security, even though the site does not have https. It would still be nice to get https so the browser doesn't complain about an unsecure connection, but unfortunately GitHub Pages does not support this feature for custom domains.